I’m writing this twenty-four hours after the final blackout and “Grand Concourse” is still making me unsettled. Set in a Bronx soup kitchen run out of the basement of a Catholic church, the play explores the limits of forgiveness with playwright Heidi Schreck putting her nun protagonist Shelley (Mariann Mayberry) through hell and high water. Shelley’s kitchen caters to homeless transients like Frog (Tim Hopper, with Francis Guinan assuming the role starting August 11) who’s friendly and will sell you a joke book for a dollar but has serious mental health problems. She also has to deal with volunteers like the enthusiastic but unstable Emma (Brittany Uomoleale) who keeps all-but-propositioning the church’s handyman Oscar (Victor Almanzar). Shelley has taken to timing her prayers with a microwave clock, so she doesn’t have much inner grace to begin with, and Schreck treats her more like Job than Daniel in the lion’s den. Directed by Yasen Peyankov, Steppenwolf’s production is funky and loose but has several moments that feel forced; you can feel the playwright’s hand reaching down and arranging the pieces. Yet the performances are all wonderfully realized. Mayberry finds the soft heart underneath Shelley’s piss and vinegar, while Uomoleale allows Emma’s contradictions to coexist in all their infuriating irrationality. Hopper and Almanzar bring warmth and generosity to Frog and Oscar. Anytime they’re onstage all you want for them is the best, even when the worst is unfolding right before you. 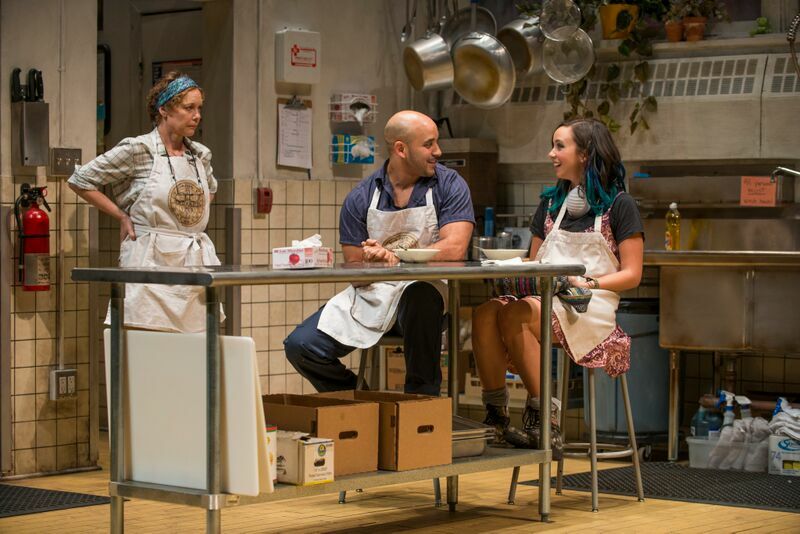 Steppenwolf Theatre Company, 1650 North Halsted, (312)335-1650, steppenwolf.org, $15-$89, Through August 30.